One of the most unpleasant events that can damage business property is a sewer backup. A blocked sewer pipe can cause wastewater to back up into a building. The contaminated water can damage the building and its contents. It can also create a risk of disease. If your business is insured under a commercial property policy, you might assume you are covered for property damage caused by a sewer backup. After all, most property policies cover damage caused by water that leaks from a broken pipe. Water leakage is a covered peril, so sewer backup is covered as well, right? Unfortunately, the answer is no. Water leakage and sewer backup are two separate perils under a commercial property policy. Sewer backup is normally excluded in conjunction with flood under the water exclusion. Water that backs up or overflows or is otherwise discharged from a sewer, drain, sump, sump pump or related equipment. In most property policies, the water exclusion (including the section that applies to sewer backup) is subject to an anti-concurrent causation clause. This clause eliminates coverage for damage caused by a sewer backup, even if a second peril contributes to the loss, and that peril is covered. For example, suppose that the floor and one wall of a building are damaged by sewage that backs up from a clogged sewer pipe. Sewer water penetrates an electrical switch in the wall, triggering a fire. The fire burns the sewage-damaged wall. The wall has been damaged by two perils, sewer backup (an excluded peril) and fire (a covered peril). Because of the anti-concurrent causation clause, the damage to the wall is not covered. In the past, no standard ISO endorsement was available for providing sewer backup coverage. Many insurers offered this coverage using endorsements they had developed themselves. In 2012, ISO finally released an endorsement (entitled Discharge from Sewer, Drain or Sump) that insurers can use to cover sewer backup. While some insurers may continue using their own proprietary sewer backup endorsements, others will likely switch to the new ISO endorsement. The ISO sewer backup endorsement covers physical loss to property covered by your policy if the loss is caused by a discharge of water or waterborne material from a sewer, drain or sump. For a loss to be covered, the sewer, drain or sump must be located on premises listed in the endorsement. If your property policy includes business income (business interruption) coverage, you can extend that coverage to include sewer backup. If you choose this option, your policy will cover income you lose or extra expenses you incur due to a shutdown of your business. The shutdown must result from physical damage caused by a sewer backup to property covered by your policy. Sewer backup coverage is subject to separate limits for property damage and business income. For example, suppose that you have purchased a $25,000 limit for property damage only. 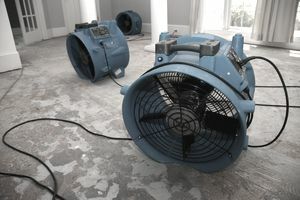 If your business sustains a property damage loss caused by a sewer backup, your insurer will not pay more than $25,000. This limit is included in the property damage limit shown on your policy. It is not an additional limit. Sewer backup coverage may also include an aggregate limit. The aggregate limit is the most your insurer will pay for all sewer backups that occur during your policy period. Sewer backups caused by flood, tsunami, waves or other perils listed in the water exclusion are not covered. Sewer backups caused by floods are covered by flood insurance. No coverage applies to a sewer backup caused by your failure to perform routine maintenance or repair. For example, no coverage will be provided for a backup caused by your failure to remove roots from a sewer pipe. No coverage is provided for damage caused by the failure of a sump pump if the pump fails due to a power outage. This exclusion doesn't apply if your policy includes utility interruption coverage. The costs of repairing the sewer, drain, sump or sump pump itself are not covered. Your insurer may provide sewer backup coverage using its own endorsement rather than the ISO version. If you need help assessing the scope of coverage the endorsement provides, consult your agent or broker.